I am very pleased to inform you that on 21 June 2018 I was appointed as the third President of JIHEE (Japan Institution for Higher Education Evaluation) by its Board of Directors. JIHEE was established in 2004 as an organization to make evaluation of universities, junior colleges and other higher educational institutions in Japan in accordance with Article 110 of its School Education Law. In 2012 JIHEE was certified as a Public Interest Incorporated Foundation in the field of higher education by the Prime Minister’s Office. For the last 12 years from 2005 through 2017 JIHEE has conducted evaluations for 618 universities, 16 junior colleges and one graduate school in total. The common purpose of these evaluations is to support the autonomous enhancement and improvement of quality of higher education in Japan. Almost all institutions which have been evaluated by JIHEE until today are funded by private corporations. This is the most significant characteristic of JIHEE. None of private universities/junior colleges were established without being based on the founding principles which are unique to every university/college. JIHEE highly respects those principles when making evaluation, because they are nothing but “raison d'être” of those institutions. JIHEE, having terminated two rounds of evaluation since its inception (the first from 2005 to 2010 and the second from 2011 to 2017), has entered the third cycle this year in respect of evaluation. Thus, its Evaluation Standards have largely been revised, so that internal quality of education and research activities of every institution would be further assured. 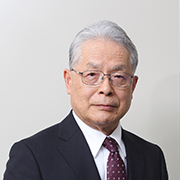 Last but not least, I would like to express my sincere gratitude to Prof. Toshiji KURODA, my predecessor, who has made brilliant and valuable contributions with very strong leadership for development of JIHEE.